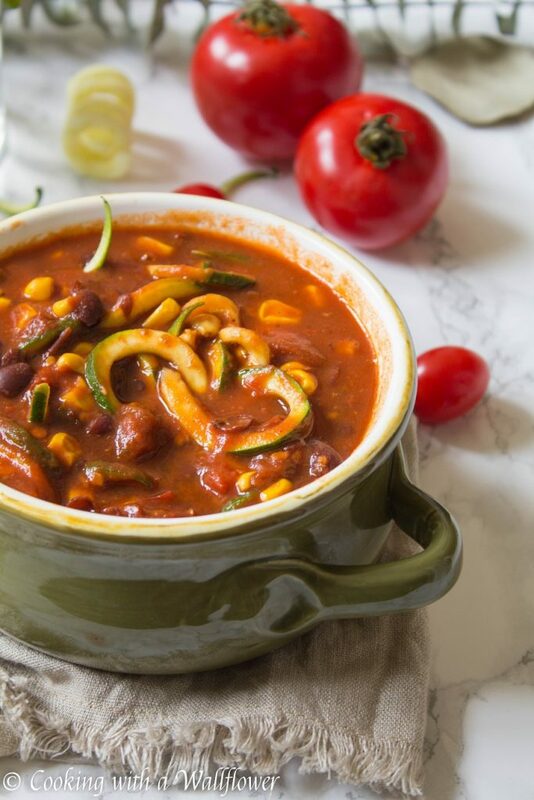 Spicy and smoky chili filled with fresh tomatoes, corn, black beans, and served with zucchini noodles. This smoky chipotle zucchini noodle chili is so delicious and the perfect fall comfort food. Now that it’s October, it finally feels like fall. We’ve had our first rain in almost half a year. And I am so ready to layer my clothes, wear knee high boots, and wrap myself in cozy plaid blanket scarves. I’m just not so sure I’m ready for shorter days and longer nights. Of course, as it’s getting cooler with each passing day, I want something warm and comforting to indulge in, especially on gloomy, rainy days. 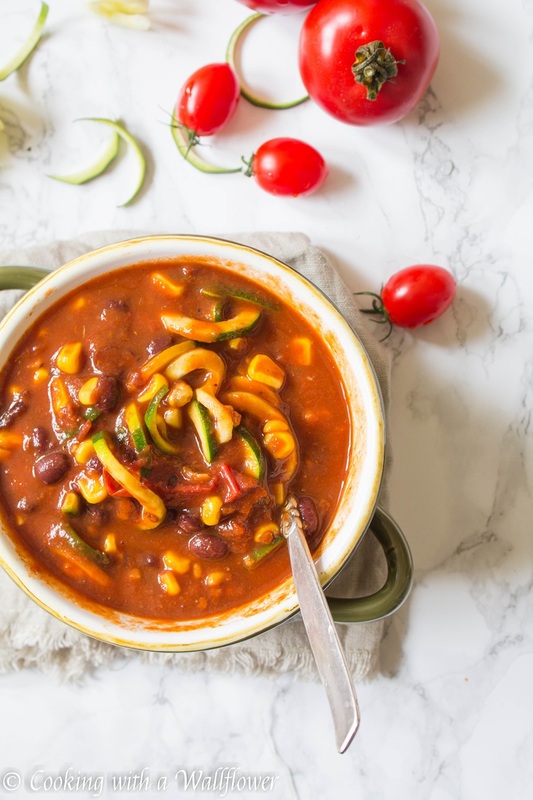 Honestly, what could be cozier and more comforting than a bowl of hearty chili? 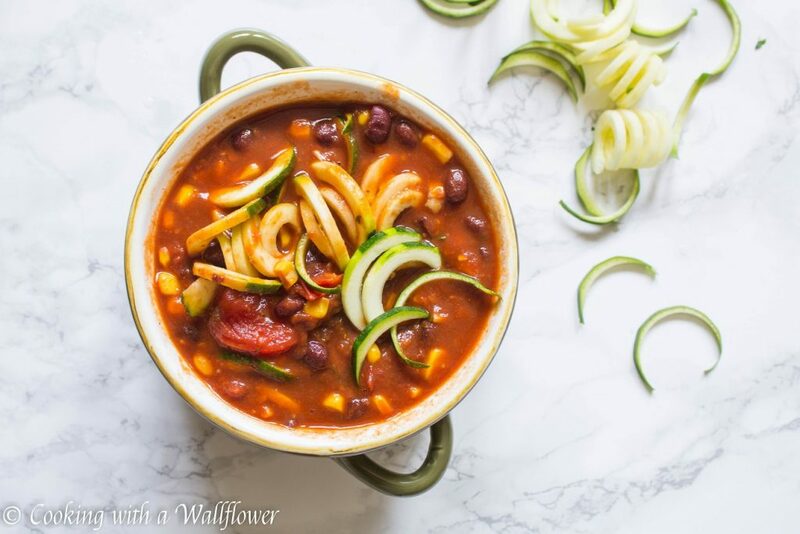 Made with tomatoes, onions, garlic, black beans, and smoky chipotle peppers and served with zucchini noodles, this chili is sooo perfect for fall meals. I originally wanted to serve this bowl of chili with pasta, but I thought it might be too heavy of a meal. 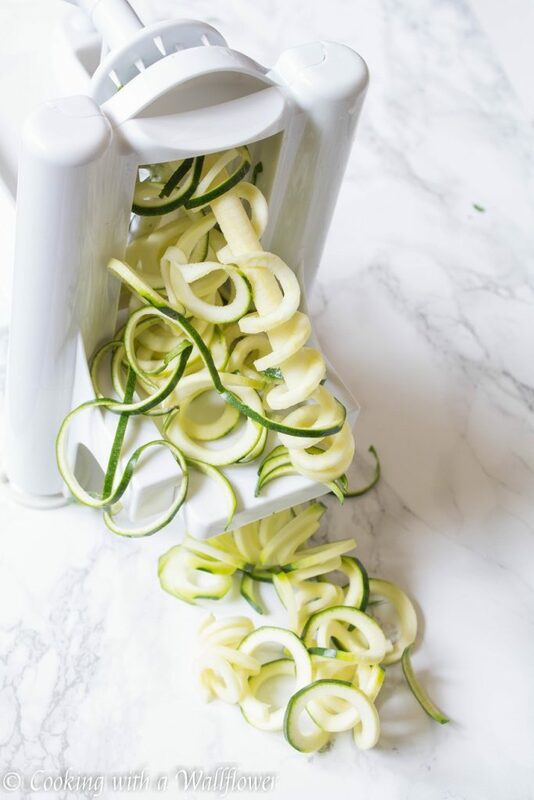 So instead of using pasta noodles, I substituted with zucchini noodles. 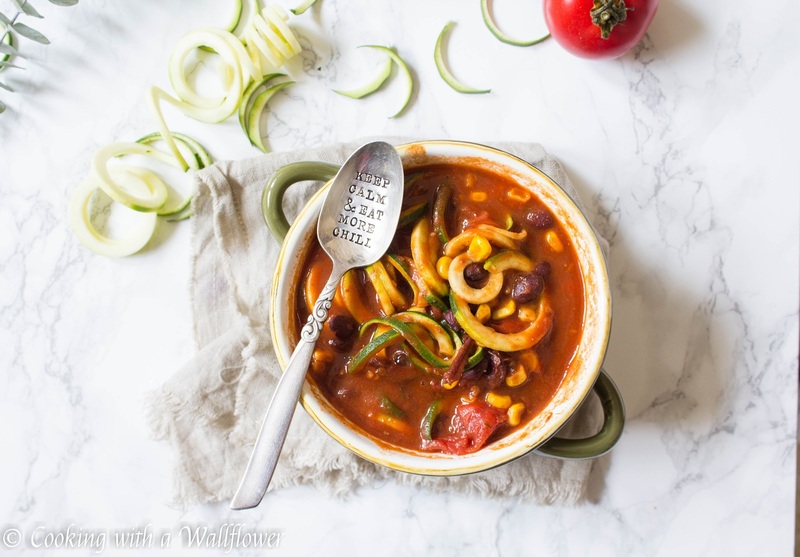 That way you can have your hearty and comforting chili and sneak in a little vegetable too. I am obsessed with chili in general. That might be why I have shared so many chili recipes over the years. 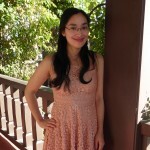 Each one a different variation from the last. What I love most about chili is that you can make everything in a single pot. That means I don’t really have to worry about the cleaning process. I mean, I obviously love to cook. But the dishes that I end up with afterwards? Not so much. So one pot meals are always a plus for me, especially after a long day at work. Now, add sweet corn and black beans to the pot. Pour in the vegetable broth. 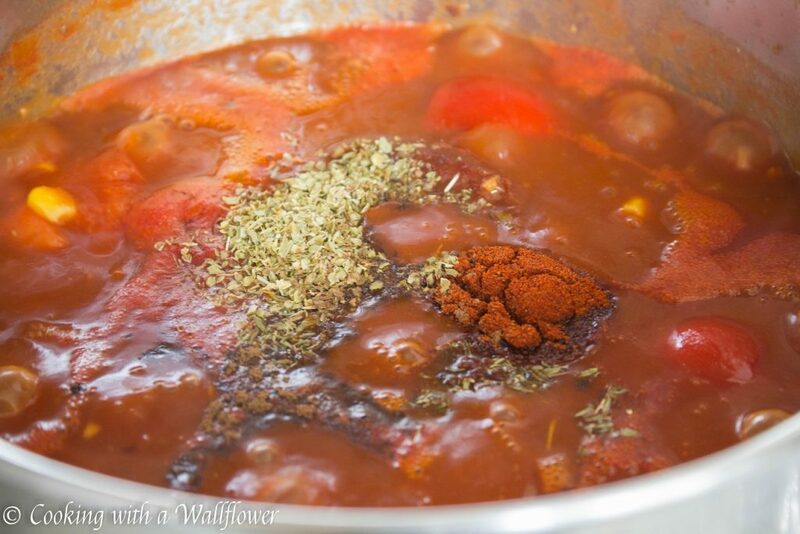 Add chipotle peppers, adobo sauce from the can of chipotle peppers, diced canned tomatoes, fresh tomatoes, tomato paste, sugar, oregano, all spice, cumin, thyme, and paprika. Stir until all the ingredients are combined. As a side note, I love spicy foods so when I’m cooking for myself, I add the entire can of chipotle peppers to my pot of chili. 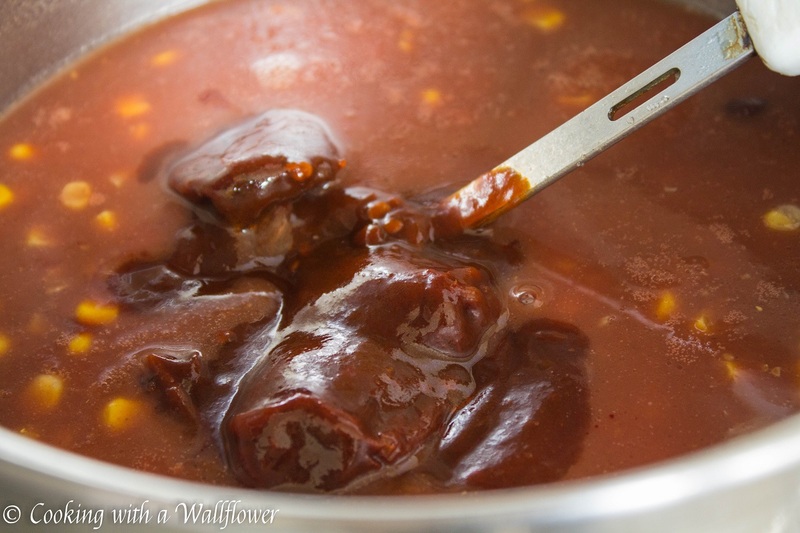 But for the purpose of this chili, add a couple of chipotle peppers, test the level of spicyness, and then adjust the spicy level to your taste buds. 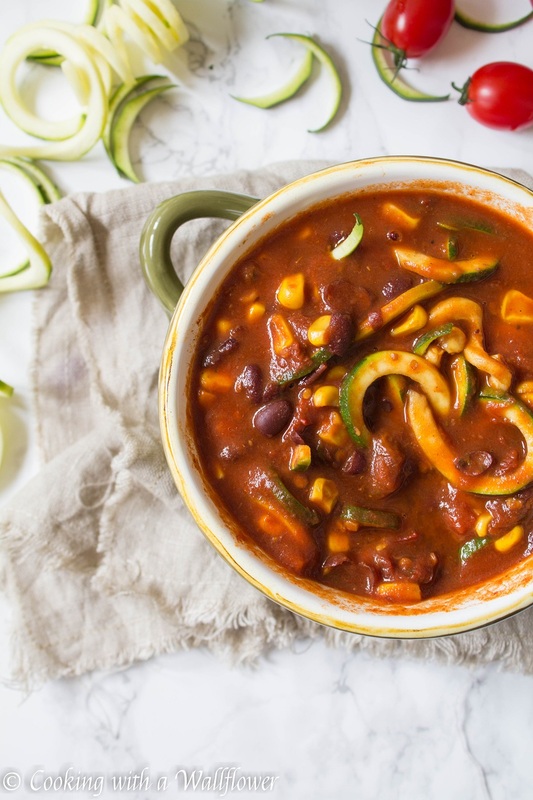 When ready to serve the chili, add zucchini noodles into a bowl. 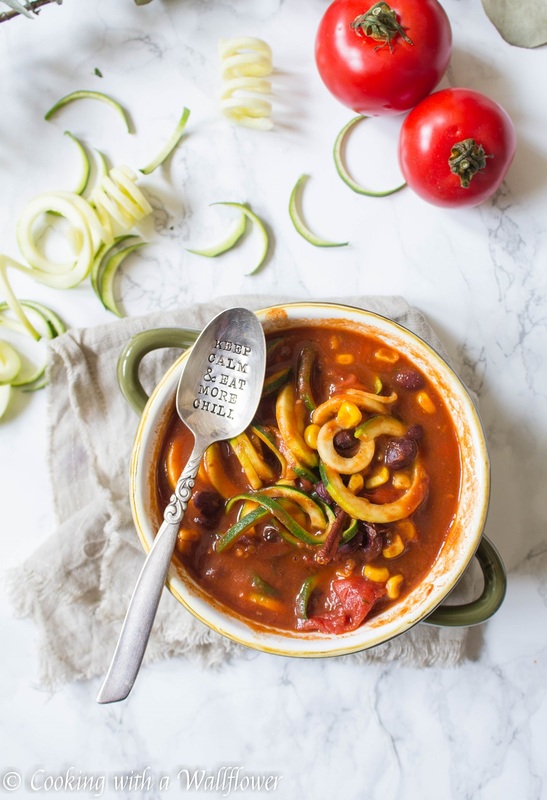 Ladle hot chili over the zucchini noodles and let the heat from the chili to cook the zucchini noodles. 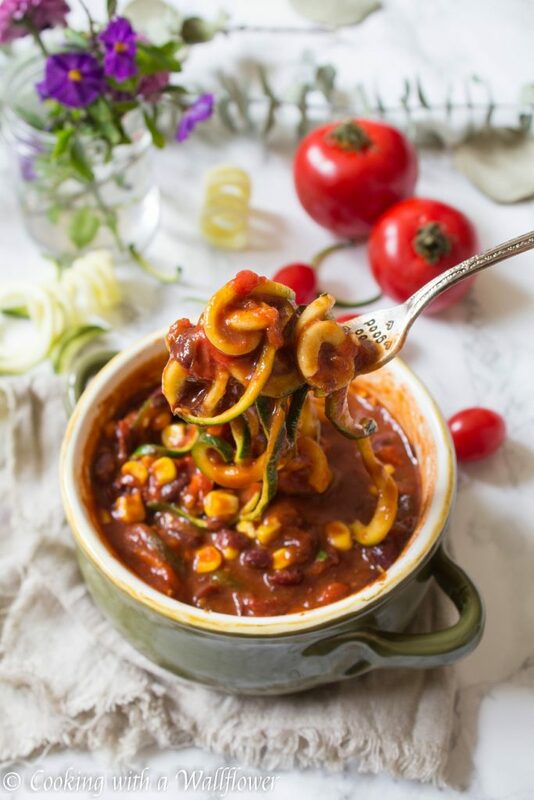 Serve the smoky chipotle zucchini noodle chili garnished with finely chopped parsley or cilantro as desired. 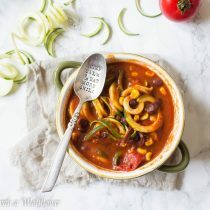 This entry was posted in Comfort Food, Entree, Fall Cravings, Farmer's Market, Gluten Free, Quick and Easy, Recipes, Vegan, Vegetarian, Zucchini Noodles and tagged chili, comfort food, fall recipe, gluten free, quick and easy, vegan, vegetarian, zucchini noodles. Mmm this look so comforting and delicious! !